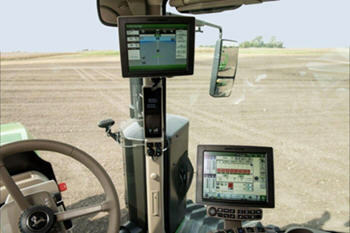 The Gen 4 Extended Monitor provides a secondary monitor solution for producers who want two monitors to manage their machine and precision ag applications on their 4600 CommandCenter or 4640 Universal Display. Adding the second monitor gives producers in display-intensive operations the ability to view and adjust more of their operations at once. One easy-to-use system - Make adjustments on the go with either monitor in one operating system while having direct access to more run pages and information at all times. Simplified in-cab operating experience - Generation 4 displays are built on a foundation of being easy to use for operators. Two monitors from the same system eliminates the potential for mismatched information and the need for separate software updates for different displays. Maximize uptime and minimize setup time with quick and easy plug and play over the traditional dual-display setup steps. Better positioned to avoid costly mistakes during product application by providing the ability to more effectively have direct access to information and adjustments. Increased customization and viewable access to the Generation 4 run page layout, as well as flexible mounting location of the additional monitor. 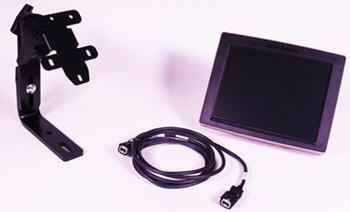 NOTE: Only compatible with machines equipped with a 4600 CommandCenter or 4640 Universal Display. Requires software update 17-1 or newer. If installed on tractors, it will require a vehicle app software update (R556809 or newer) via the Service ADVISOR™ diagnostics system for complete functionality. Remote Display Access (RDA) sessions are only available on the primary monitor and not viewable on the Extended Monitor. Not compatible with R4023 Sprayer due to operator station limitations. Having the same implement VI modules displayed on two screens at the same time may lead to one screen not reflecting everything available in the module being displayed or may cause inaccurate or erroneous data. 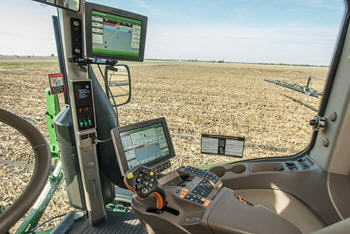 Sprayer machine apps with available run page modules can only show up on one monitor at a time. 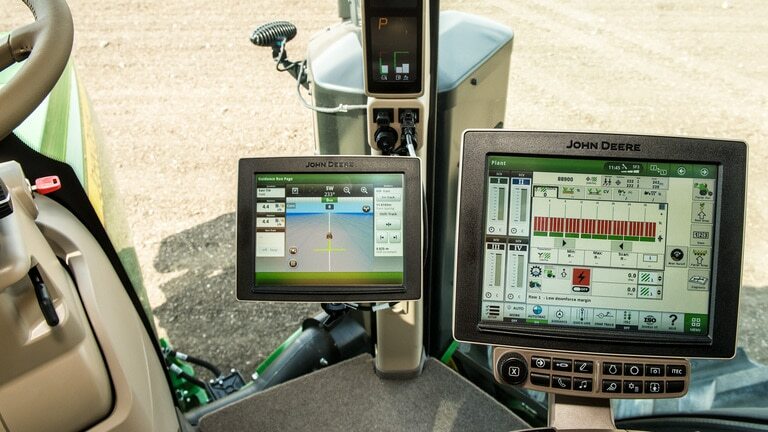 In the event that two of the same sprayer machine modules are set to a run page on the Extended Monitor and the Gen 4 display, the module on the Extended Monitor will not be available. 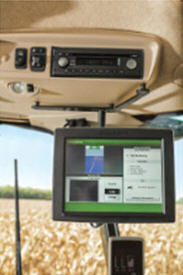 NOTE: Only compatible with model year 2018 and newer combines equipped with a 4600 CommandCenter. RDA sessions are only available on the primary monitor and not viewable on the Extended Monitor. Combine machine apps with available run page modules can only show up on one monitor at a time. In the event that two of the same combine machine modules are set to a run page on the Extended Monitor and the 4600 CommandCenter, the module on the Extended Monitor will not be available.